All too often, members of the American punditry mistake the unfortunate or the coincidental for the ironic. For example, Washington Times Communities contributor and pro-lifer Paul E. Rondeau recently penned an article in which he described the, “titanic irony” of the anti-abortion March for Life rally having its date moved to accommodate the second inauguration of President Obama. Sadly for Mr. Rondeau, what he has just described is not in fact irony, but a simple scheduling conflict. Situational irony, defined as being an incongruity between the actual and expected results of an event, doesn’t apply to this situation in the slightest. Since the March For Life rally is held every year on January 22nd on the anniversary of the decision in Roe v. Wade, it is somewhat unfortunate but entirely expected that a Presidential Inauguration might preempt it. While normally held on January 20th, inaugural festivities are often pushed back a day or two if the day in question happens to land on a weekend that year, as it did in 2013. Just as having 10,000 spoons when all you need is a knife represents bizarre coincidence rather than irony, scheduling a pro-life parade on the same day as a pro-choice President’s swearing in is nothing more than inopportune timing. I bring this up in light of what might be the most ironic, and by extension, tragic stories of this still young year. Last night, the Israeli newspaper Haaretz revealed that gynecologists in the country had been injecting Ethiopian immigrant women of Jewish descent with birth control coercively and against their will. Health Ministry Director General Ron Gamzu released a statement yesterday instructing physicians in four Israel Health Maintenance Organizations to cease administering the long-acting contraceptive shot Depo-Provera to Ethiopian women, “if for any reason there is concern that they might not understand the ramifications of the treatment.”1 For over five years the Israeli government has denied reports alleging gynecological malpractice against Israeli physicians for sterilizing Ethiopian women without their knowledge or under false pretenses. One woman who was interviewed said that the Israeli doctors told their patients that the shots were inoculations and administered injections of the drug once every three months despite the fact that the women said they didn’t want them. 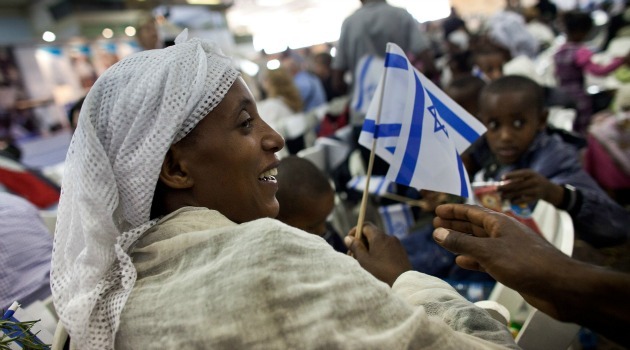 Most Ethiopian Jews, also known as the Beta Israel, emigrated from the African continent during the 1980s and 1990s when Ethiopia was being torn apart by severe famine and civil war. To their credit, the Israeli government launched two large missions during that time to covertly airlift nearly 25,000 Ethiopian Jews from the continent, a decision made possible when it was ruled that the Israeli Law of Return applied to the Beta Israel in the late 1970s. Today, there are in excess of 120,000 Ethiopian Jews living in Israel where they have struggled to assimilate into the larger society. Their primarily agrarian background, language barriers and lack of formal education all played a role in largely excluding them from the Israeli workforce, but the root causes of why the Beta Israel live on the margins of Jewish society are much more basic and they speak to the recent birth control scandal. You want irony? Try reconciling the fact that possibly the most persecuted people in human history—a people that were the victim of the most grotesque and reprehensible atrocities the world has ever seen—is responsible for a policy that forcibly spays a small, alienated portion of their society. I use the term spay with purpose because, when your government and your physicians take your fertility from you against your will, they have ceased to view you as fully human. Israeli society may have begrudgingly acknowledged the fact that Ethiopian Jews are descended from the ten lost tribes of Israel, but the majority of it has yet to accept them as such. When they look at the Beta Israel, what do they see? Surely, many of them do not see a reflection of themselves because we do not violate the basic human rights of people we claim as our own. It is fitting that the Israeli government released their letter acknowledging the coercive contraception being foisted upon Ethiopian Jews on the eve of International Holocaust Remembrance Day, which was established by the UN on January 27, 2006 to honor the memory of the millions of holocaust victims on the anniversary of the day Soviet troops liberated the concentration camp at Auschwitz. At the same time Israel’s medical malpractice was coming to light, German Chancellor Angela Merkel spoke at an event marking the memorial day that requires Germans to annually pick off the scab of their genocidal past, remarking that the German people have an, “everlasting responsibility for the crimes of National Socialism, for the victims of World War II and, above all, for the Holocaust.” By all accounts it seems as if the responsibilities being laid out by Chancellor Merkel are being met. According to the Observer Human Rights Index3, Germany ranks 163 out of 195 countries with regards to the severity of their human rights abuses. Israel, on the other hand, came in 31st, ahead of such bastions of liberty as Cuba, Haiti and Venezuela. So, the home of Nazism is one of the most respectful nations in the world concerning the civil liberties of its citizens and the Jewish State is one of the worst human rights abusers on the planet. Kind of ironic, don’t you think? The situational irony is not the scheduling conflict but rather that the conflict on the 40th anniversary of Roe v Wade was caused by the inauguration of the most militantly pro-abortion president in history. March for LIfe is not a pro-choice event as you have stated twice…March for Life is hundreds of thousands of pro-LIFE marchers. Therein lies the irony. Thank you for pointing out my admittedly short-sighted error. I would still contend that the group’s stance on abortion is irrelevant to the irony of the situation. The two events coinciding were mere coincidence. However, wouldn’t it be more ironic if the President in question who preempted the rally had been extremely pro-life/anti-choice? Wouldn’t one kind of expect there to be conflict between a pro-life group and a pro-choice POTUS? A conflict with a pro-life President’s inauguration on the 40th anniversary of Roe v Wade would certainly have been more to my liking…regardless of irony!